Online Editor, Simon Wittenberg, enjoys a taste of Switzerland in the heart of the Capital. 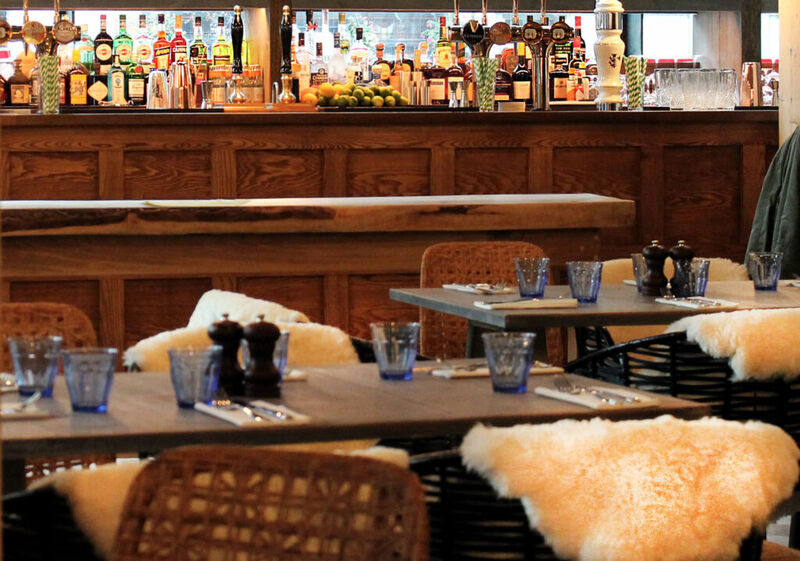 The White Haus is an alpine-themed all-day eating, drinking and entertainment venue located just a short walk away from St Paul’s. 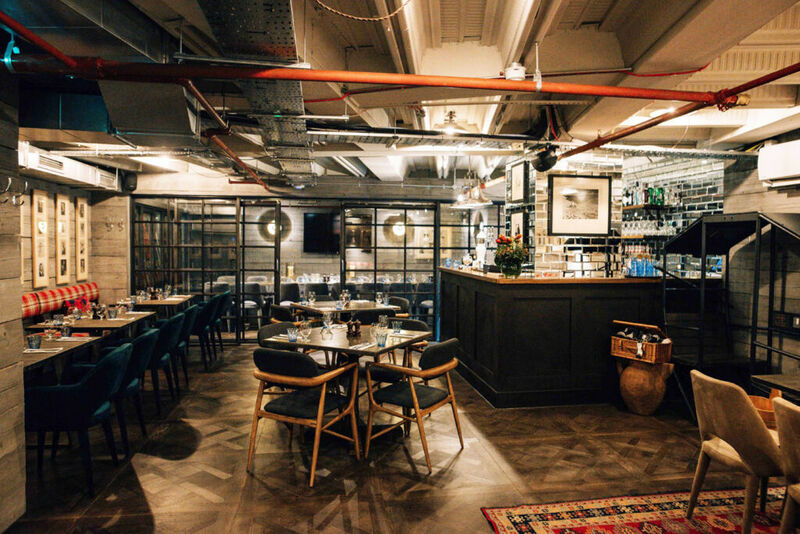 The 3,800 square foot, 160-cover eatery sits on the site of the former White Swan pub on Farringdon Street, and was officially launched last November. When you walk through the modern glass exterior, it’s like being transported into a Swiss mountain chalet, thanks to the well-thought-out and rustic design by Jo Clevely. It’s got many of the quirky features that you would associate with an abode of this kind, such as exposed wood and some old memorabilia courtesy of the Ski Club of Great Britain. Guests at The White Haus are hosted on three floors. 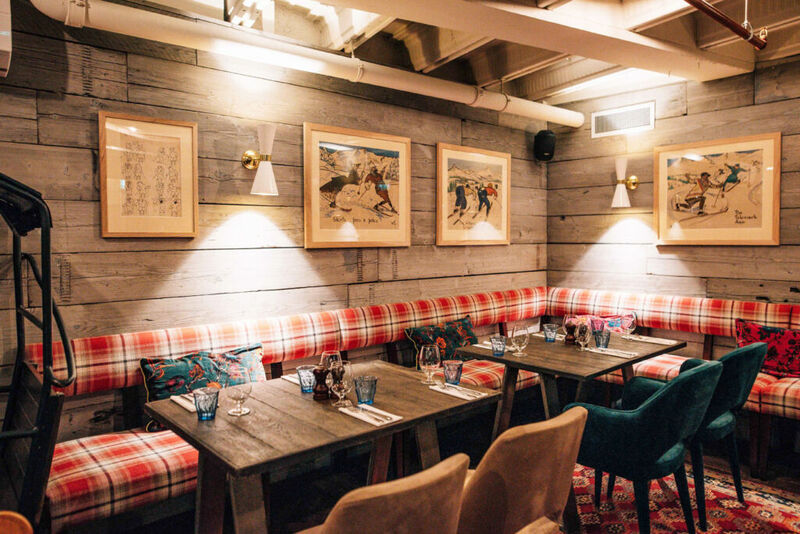 On the lower ground, there’s a wooden-clad ‘chalet’ for private dining events, plus a small outside terrace. At street level, you’ll find a bar where a tank of 1936 Bière, a beer brewed using fresh water filtered by the Swiss Alps, is suspended over the shelves of bottles. And then finally, there’s a 40-cover balcony area with a library-style lounge, plus the bookable and more intimate red vintage cable car where my guest and I were seated on a Monday evening. Taking care of the gastronomy at The White Haus is Executive Chef, Jamie Polito, who has previously worked at Café Anglais and Geronimo Inns, and Head Chef, Dan Davies, formerly of Murano and Bleeding Heart. 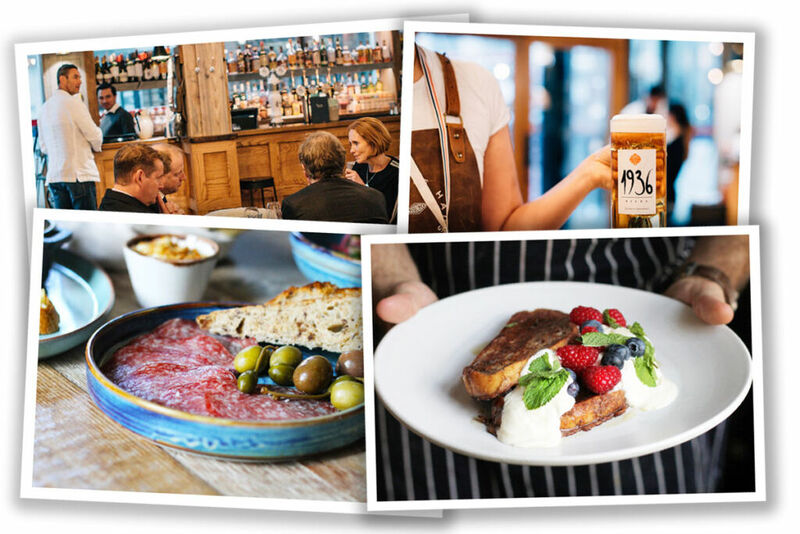 There’s a fair amount of choice on the lunch and dinner menu, which is served from midday up until 10 pm during the week, and considering that you’re in the heart of the City, it is reasonably priced. As well as the aforementioned beer, the selection of drinks is also good, and we opted for a couple of their sweeter cocktails in the form of the fairly strong salted caramel old fashioned (£8), and the nicely concocted black cherry and amaretto sour (£7.50). The small plates to start count dishes such as cured meats and roasted beetroot salad. For those after something relatively light, there’s an array of different options such as a cheeseburger, smoked Bavarian sausage and ham hock. 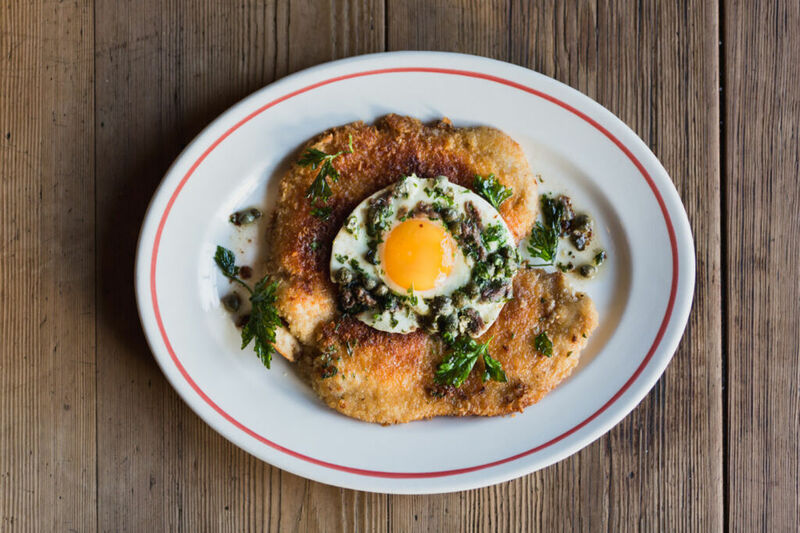 In keeping with the Alpine theme, the mains are synonymous with the food served in this part of the world, and there’s everything from chicken schnitzel to spinach and ricotta tortellini. Sharing boards are equally on offer for friends or loved ones who are happy to divide and conquer one plate. 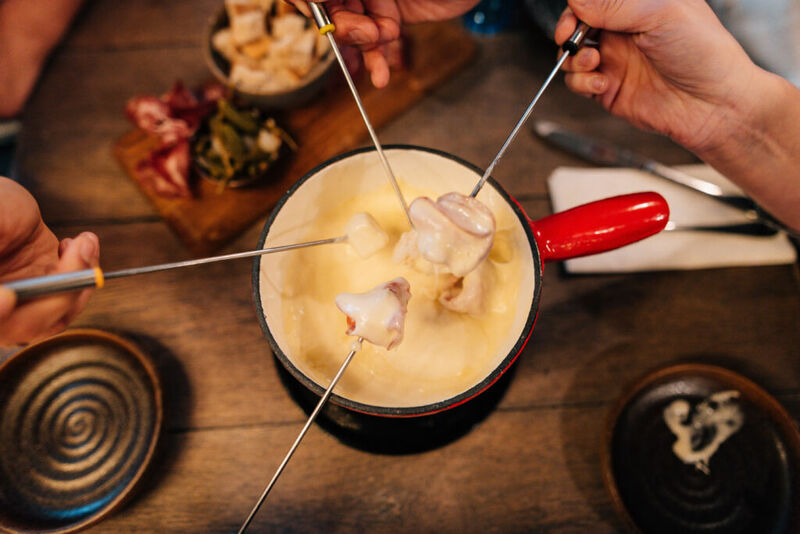 They include baked Edel de Cleron cheese with potatoes and pickles, grilled halloumi with beetroot hummus, Baba ganoush, guacamole, pitta and olives, and a “classic” fondue. 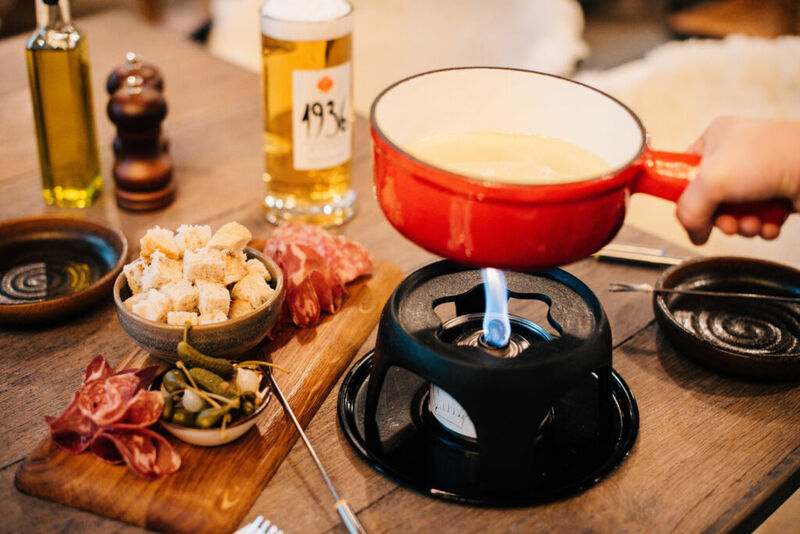 Joined by sides of fries, and a deliciously-creamy mushroom and goats cheese gratin (both £4), plus some complementary potato and ham croquettes, we settled on the steaming hot pot of fondue. With a board of sliced salami, morsels of crusty fresh white bread and pickles, we proceeded to dip, whilst trying our best to avoid the cardinal sin of leaving any crumbs behind. The pot wasn’t huge at £10 per head, but it was filling enough when you have a few extras. The flame was extinguished by our attentive host, signalling that it was time to reach for the menu once again and to enjoy some dessert. Not one to skip the final course, there are three sweets to choose from, or there’s the European cheese platter available to end the meal on something savoury. I settled on the very tasty apple Tarte Tatin with vanilla ice cream (£6), whereas my dining partner opted for the equally wonderful double chocolate cheesecake, which arrived with a sprinkling of alcohol-infused black cherries (also costing £6). Overall, on the Monday night that we visited, it was fairly quiet and relaxed, and the service was leisurely, but efficient. We had eaten well but did not feel as if we were bursting at the seams, and we would certainly return when we find ourselves again in this neck of the woods. In fact, The White Haus is far from being on a slippery slope, and all that’s really missing is the fresh mountain air because they’ve got the other elements absolutely right. The White Haus – Where and How? The White Haus is located at 17 Farringdon Street, London EC4A 4AB, United Kingdom. For more information, or to make a reservation, visit www.thewhitehaus.co.uk. See pictures of what we ate on the Luxurious Magazine Instagram channel.